STONEGATE! Stunning villa will transport you to the mediterranean! Dramatic ironwork and abundant natural light, colorful Portuguese inspired tiles, curving fireplace, smooth imperfect finished walls and intricately detailed moldings. This home is breath-taking. Perfectly proportioned kitchen has beautiful old-world style vent over the five-burner stovetop and a butcher block island. Dining area looks out onto the low maintenance sun-filled patio. Lovely fountain, ornate garden gate, and chiminea make for a tranquil garden area. Second floor includes two en suite bedrooms with vaulted ceilings framed by rough hewn open beams. Each bedroom has a private balcony – one with a peek view of the lake. Amenities include membership to private Stonegate Country Club with access to Lakeside Clubhouse, tennis and basketball courts, swimming pools, workout facility and year-round members only events. Nearby shopping, medical facilities & freeway/airport access. Space allows for 3rd bedroom. 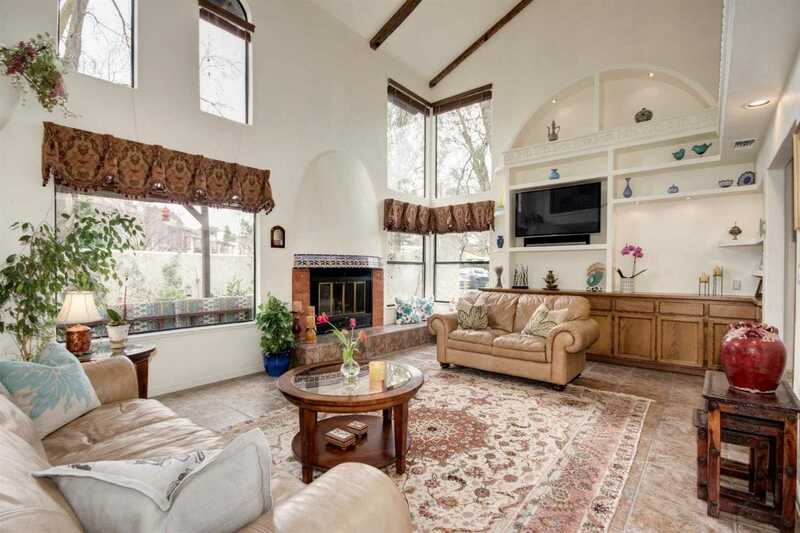 Please, send me more information on this property: MLS# 19020464 – $724,900 – 873 Lake Terrace Circle, Davis, CA 95616. I would like to schedule a private showing for this property: MLS# 19020464 – $724,900 – 873 Lake Terrace Circle, Davis, CA 95616.